Join the new medieval RPG application on MySpace! Dark Ages allows players to rise up from the level of peasant to that of a king, if you are good enough! 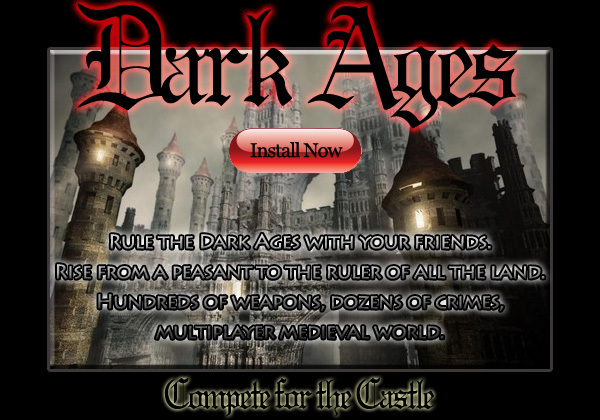 You and your friends can dominate the Dark Ages together as a group or you can join others. Play different crimes and gather all kinds of weapons as you make your way through the Dark Ages. Join the ranks of the Damned at the Bite! MySpace Application. In this seedy underbelly of a world, the vampire roams among the people, feeding at will. Will you join them and live for all eternity? Bite your friends, rob graves, or steal your blood if you must. Experience eternity while feeding on the life blood of mortals. It has been only a short time since our King has fallen. King Arthur, as it seems, was the only thing holding this great kingdom together. Now, less than 50 years later, what was once a beacon for justice has become a thieves den. The first game based on the criminal minds of the “Ag3nts”. Start as a agent in training and work your way up the ranks of the Agent underworld. Bribe police, tune your car, wage wars that will never end, all in the name on your thirst for money and power. Create Account There can be only one Top Agent Work your way through the countless levels of the Agents. Try to increase your overall net worth while not letting the whole community of Ag3nts on to what type of power that you actually have. Join others, and create a party in order to solidify your power structure in the Ag3nts.com game.Only through defeating your opponents can your party of Agents be certain to secure powerful positions that last for more then a moment in the game. What can you accomplish? Are you looking for a fun and easy Agent based game? Think you have what it takes to become top Agent and win the cash prize? 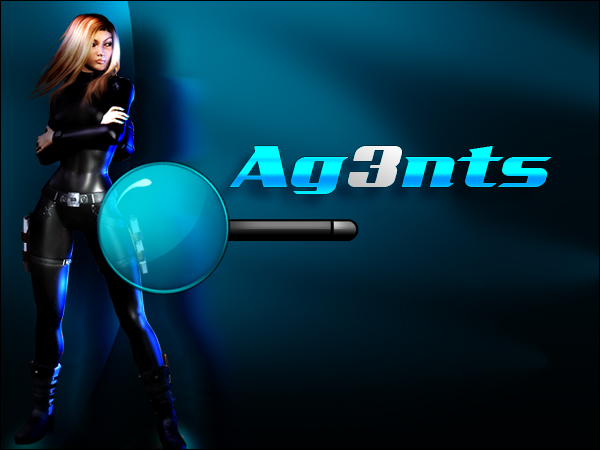 With Ag3nts.com you will be given the opportunity to see where in the agent underworld you fall, are you an walk alone Agent or do you prefer working with a whole team of Agents to acquire your own goals? Will you take the role of an Loan Agent and work against the Agent Underworld, or will you work as team player Agent using other Agents to form a powerful machine?